Elbow are winners of the 2008 Mercury Music Prize. Smile? Elbow's album The Seldom Seen Kid has won the 2008 Nationwide Mercury Music Prize. Although second favourite with bookmakers - it had 11/4 odds earlier on 9 September - the result was still a surprise. Dubstep producer Burial was favourite to win the award for his Untrue album, while Radiohead's In Rainbows was also highly tipped. "I know I'm supposed to be cool and say something coy, but it's literally the best thing that's ever happened to us," said singer Guy Garvey on collecting the award, live on BBC TV. The Seldom Seen Kid is Elbow's fourth album. In 2001 the band were shortlisted for their debut album, Asleep In The Back. There are already industry mutterings that Burial did not win because he declined to attend the awards ceremony. Burial is the recording name for reclusive producer Will Bevan. Nevertheless, the Mercury judges were clearly behind Elbow. One of the judges Charles Hazelwood said: "We were just so passionate about them from the start actually. We just couldn't talk enough about what they'd done." Jude Rogers, another judge, added: "It's such a passionate record, it's from the heart, it's from the gut. "It's beautiful, it's romantic, it's dark, it's gorgeous, it's just a really, really wonderful record." Congratulations to Elbow. 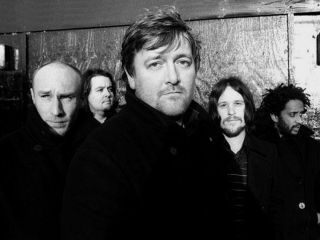 Watch Elbow's Grounds For Divorce. But is winning the Mercury Music Prize something of a curse? Elbow will find out soon.